Coyotes have become a growing nuisance issue in the wildlife removal business. Depending on the state you are governed by there are a couple of different ways to remove coyotes. 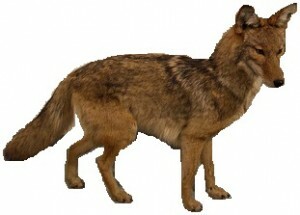 Live capture and relocation is the humane and prefered, but some states only allow termination of coyotes due to the over population and restrictions on relocation. Your local wildlife control service listed here knows the laws and will abide by them.